Aspartame is one of the most controversial food additives or drug that has been researched by the FDA as well as many other organizations. Some of the most common non-life threatening side effects of aspartame include headache, dizziness, nausea and vomiting. Other side effects may be reported, but the above have actually been identified by the FDA. There have also been reports of less common side effects. One woman in particular was experiencing these symptoms, and was diagnosed with vestibular neuronitis, which is an inner ear infection that can cause vertigo. The women decided cut aspartame from her diet, and these side effects disappeared instantly. Fifteen years after she did this, her brother started experiencing the same symptoms, he too cut out aspartame of his diet and the symptoms disappeared as quickly as they had begun. Some researchers also believe that the following chronic illnesses can be worsened or triggered by aspartame. Although the FDA has approved aspartame at a maximum consumption of 40mg/kg, there are still some people who should not consume aspartame as it can have very adverse side effects. One group of people in particular who should avoid aspartame at all cost are those with the genetic disorder Phenylketonuria. These people have high levels of the amino acid phenylalanine, and consuming aspartame can also increase these levels, while consequently increasing the possibility of causing brain damage which could eventually lead to intellectual disabilities. Aspartame is probably one of the most controversial subjects when it comes to its side effects. An acceptable daily intake of 40mg/kg has been approved by not only the FDA, but also by over 100 regulatory systems in various countries. Most people only consume about 10mg/kg. That being said, some researchers continue to insist that there are side effects such as, depression and cancer (more specifically brain tumors). The most common link lately is with cancer, however FDA officials want to ensure the public that it is safe by quoting it as “one of the most thoroughly tested and studied food additives the agency has ever approved”. In many cases, as it has been proven many times by the FDA, the amount of aspartame being consumed by most people is a safe level that should not have any serious side effects. However as with anything, it should be used in moderation. Additionally, if certain ailments are experienced and are found to be caused by aspartame, cease using it immediately. 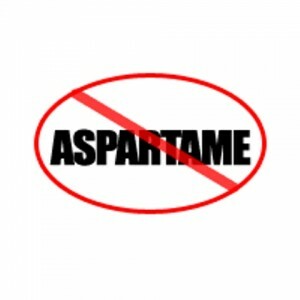 If you have any questions at all about aspartame or its affects, consult with a physician.